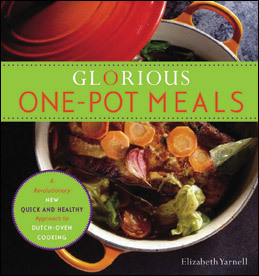 Sometimes it’s good to be reminded about old truths that get forgotten in the rush to embrace new trends. That’s how I’m feeling about Vitamin C these days. 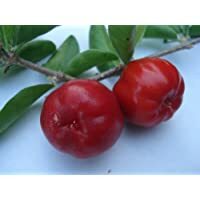 Acerola cherries are a great source of Vitamin C.
I remember watching my parents down large doses of Vitamin C in the 1980s to rid themselves of colds, and it worked well for them then. Why I don’t treat myself the same way remains the mystery. I had to battle my east coast summer cold for twelve days before thinking of taking some Vitamin C. Maybe the cold was clouding my brain, or maybe I just wasn’t taking care of myself properly because I was feeling so lousy (I did manage to give my kids Vitamin C and they only suffered for a few days, go figure), or maybe I bypassed Vitamin C in favor of other remedies just because I thought of them first. Whatever. I’m glad I finally thought to take some because it did the trick. The thing about helping your body heal and recover from illness using natural remedies is that sometimes you have to try a few approaches before finding the right one to counteract that ailment. My regular stockpile of garlic tea, Sinus Rinse, and homeopathic remedies were not effective against this particularly nasty bug, but a large dose of Vitamin C was what I needed. Linus Pauling, the father of orthomolecular medicine, first asserted that high doses of Vitamin C could activate the immune system against viral infections and even cancer. He was attacked by a skeptical medical community schooled to believe in pharmaceuticals and to reject the notion of food as intrinsic to health. It is only now that conventional medicine is beginning to recognize the role of vitamins in health, and Linus was truly ahead of his time. Because I prefer to get my vitamins from whole foods rather than from supplements with questionable bio-availability, when I’m looking for Vitamin C I’ll usually reach for strawberries, kiwis, oranges or grapefruits, but sometimes a higher dose is needed quickly. The two foods with the highest concentrations of Vitamin C are rosehips and ascerola cherries. While I’m not a big fan of the flavor of rosehip tea, I have no problem munching on tart, dried Acerola cherries, but they can be hard to find. 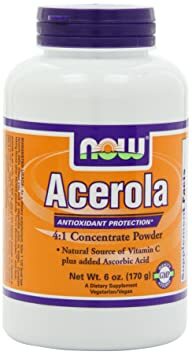 Acerola extract powder (also in capsules) offers a natural source of Vitamin C that’s easy to take mixed into juice or water. A single heaping teaspoonful of Acerola powder was all it took for me to turn the corner back to health. The moral of this story: don’t forget about Vitamin C. It’s an oldie but goodie to keep in your arsenal against colds.